Did you know that a treatment with CoolSculpting is completely non-invasive and can help you get rid of your extra pounds or trouble spots? CoolSculpting freezes away unwanted fat and stimulates fat cell removal in just a matter of minutes with results that continue to get better once you leave the office. 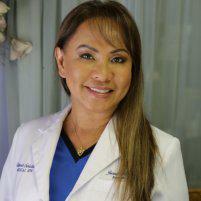 Dr. Jen Jose is an expert at administering CoolSculpting in the Darien, Connecticut, area. Call or request an appointment online. CoolSculpting utilizes a technology called cryolipolysis that’s based on the principle of fat cells having higher freezing points than other cells. This allows the CoolSculpting device to strategically freeze and remove fat cells without harming muscle or other tissue. It isn’t a surgery; it’s a simple in-office, painless procedure. There are no incisions, and the procedure is painless. First, Dr. Jen applies a solution to the skin to protect it from damage. Then, Dr. Jen presses the cup-shaped CoolSculpting applicator head to the fat or problem area that you’d like treated. Dr. Jen freezes this area for between 35 and 45 minutes. Dr. Jen begins your treatment as soon as the targeted area becomes numb. You may browse the internet or just relax as CoolSculpting is administered. After Dr. Jen finishes your CoolSculpting treatment, you may resume normal activities and enjoy instant results that get better with time. For weeks after your treatment, your treated fat cells are naturally flushed out of your body. Each person is different and the number of treatments necessary to achieve your desired results varies based on which part of the body is being treated. Dr. Jen usually suggests one to two treatments. You can have one treatment performed, gauge your results, and then decide to have another treatment if you want even greater results. CoolSculpting destroys fat cells. Because your body does not naturally regenerate fat cells, your results last so long as you maintain healthy habits. Dr. Jen can help you to create a customized health plan to maintain optimal results and feel like the best version of you. If you’re interested in freezing away fat and enjoying an enhanced body, call or request an appointment with Dr. Jen online today.